China should pay more attention to the development of fuel battery vehicles (serial one) - Battery News - Sunbright Power Co., Ltd. Graduated from Zhongshan University in 1967, researcher-level senior engineer, enjoys special allowance from the State Council (lifetime), consultant of Wuhan Automobile Industry Association, member of expert committee of China Automobile Industry Association, special guest researcher of Jianghan University, successively as Dongfeng Motor Corporation Chief Engineer of the Institute of Science and Technology Information and Deputy Chief Engineer of Dongfeng Motor Corporation. For a long time, Cheng Zhenduo has been committed to tracking research on the development of automotive technology and industry at home and abroad, and has achieved fruitful results. He has published dozens of monographs and translations, totaling more than 10 million words, and has won national, ministerial and provincial levels. 36 awards and scientific and technological progress awards have contributed to the development of Dongfeng Motor Corporation and China's automobile industry, and have had a wide impact in the national automotive industry and even the machinery industry. Nowadays, the state has strongly supported the development of new energy vehicles as a strategic emerging industry, and has clarified the similarity of the so-called "troika" (ie plug-in hybrid vehicles). , pure electric vehicles, fuel battery vehicles) technical route, and clear the use of pure electric vehicles for China's new energy vehicle development and the transformation and upgrading of the automotive industry's main strategic orientation. In summary, this is correct and unobjectionable. However, in the actual operation and operation, the industry did not fully understand the spirit of this policy, and there were more or less deviations. There was a clear contrast between “pure electric vehicle heating and fuel battery vehicle cooling” across the country. phenomenon. Fuel battery vehicles (some of the passages in the text also use the English abbreviation "FCV") are in a weakened and contemptuous position. The above-mentioned "troika" style has become a pure electric vehicle "sinking". Many people in the industry have been aware of fuel battery vehicles for five years or even ten years ago, and still regard them as unreachable and only for tracking observations rather than specific research and development. At present, the objective development of the world is very different from the subjective imagination in the minds of some people in China. Japan, the United States, Europe and other countries and regions, especially Japan, attach great importance to the development of fuel battery vehicles, and have made major breakthroughs in some key areas, and it is expected to achieve a certain scale of industrialization and commercialization in the near future. This is also a significant contrast with the fact that the key technologies of pure electric vehicles have not been able to attack for a long time and the progress is not obvious. The development of new energy vehicles is an unprecedented new business for any country. It is also a major scientific experiment with great risks. There is no ready-made successful experience to learn from, and you can only "cross the river by feeling the stones" when you are doing it yourself. After experiencing the complex process of “practice-recognition-re-practice-re-recognition”, we finally figure out the inherent nature of the development of things and find a new energy vehicle development path that conforms to objective laws. From the "August 5th" calculation, China has been engaged in the new energy automobile business for more than 20 years. According to the theory, it has accumulated a lot of practical experience and lessons, and has a deep understanding of it. Now it is time to calm down and review the past. Summarize the experience and lessons, especially the new development of international new energy vehicles, and sort out and rethink the development ideas, technical routes and objective existence of new energy vehicles in China. If necessary, we should adjust or amend this with facts and with the times. Only by aligning the direction of advancement, the path is chosen correctly, and the efforts for it are not in vain. Otherwise, it can only be a long-distance, farther and farther away from the goal you want to achieve. The following is a comparison of the basic advantages and disadvantages of pure electric vehicles and hydrogen fuel battery vehicles. It introduces the development trends and trends of hydrogen fuel battery vehicles in the world, especially the recent major breakthroughs, and explains why China should pay more attention to the development of hydrogen fuel battery vehicles. And put forward corresponding countermeasures and suggestions for the reference of relevant departments and leaders. Aside from pure electric vehicles, if coal power is not environmentally friendly, it is often criticized. The main problems and difficulties existing in the current situation are, in the final analysis, that the key technologies of power batteries have not achieved substantial breakthroughs and progress. Throughout the world, although the technical performance of the battery has been continuously improved, it is still difficult to meet the requirements of people for normal use of the vehicle (if the user can not help but compare with the traditional gasoline and diesel vehicles, the problem will be more prominent), the specific energy Low, limited storage energy (thus limiting the driving range of the vehicle), unstable battery performance, poor reliability, long service life, large safety hazards, long charging time and other mechanism defects and high cost. These different degrees have affected the practical application and real commercialization of pure electric vehicles. It is true that the incomplete charging infrastructure is also a factor that cannot hinder the promotion of pure electric vehicles, but this is not decisive. If battery technology makes a major breakthrough, this problem may also be solved. Until now, academics and industry, no matter who, no matter how big the reputation, how high the position, it is difficult to accurately predict (predict) the specific time to fundamentally solve the above-mentioned series of problems, only by practice can give the answer. Although some manufacturers in the domestic and foreign markets also claim that their pure electric car products can travel hundreds of kilometers on a single charge, and the traditional car is not much different, but in the daily actual Repeated use, but it is difficult to get a real confirmation by repeated verification. The data claimed by the manufacturer is often the theoretical value of the design. In actual use, the energy attenuation of the battery is very obvious. Therefore, the actual driving range cannot reach the mileage expected by the design. Today, the average driving range of pure electric vehicles is still limited to less than 200 kilometers, roughly one hundred kilometers. The driving range of a pure electric vehicle is mainly determined by the amount of energy stored in the battery. 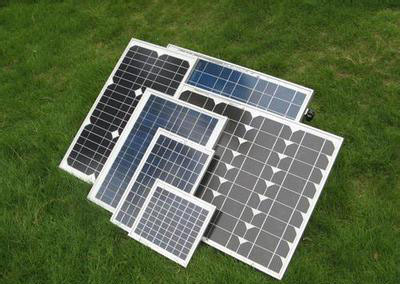 Since the performance of the battery is lower than the energy, the stored energy is limited. To get more energy, there are two main measures that can be taken so far: one is to increase the specific energy of the battery (that is, to make a single battery store more energy); the other is to increase the number of individual batteries constituting the battery pack, The battery pack is made larger (the corresponding expansion of the capacity for storing energy). However, the adoption of these two measures can only be stopped. Otherwise, its negative effects will be great. Because: First, the bigger the battery, the bigger the weight, which not only increases the cost, but also increases the price of the vehicle. Moreover, the moving vehicle consumes more electric energy, which shortens the driving range and weakens the mileage. The economic advantage of electric vehicles; Second, if the specific energy of the battery is increased too much, its safety will be reduced, which means that the high specific energy and high safety of the battery are difficult to balance. Got it." This is a paradox that people often say, or a vicious circle that is easy to fall into. In the view of the researcher, this is a fundamental, mechanistic (or principle) defect in the existence of a battery. A battery that works on the current principle does not have a major change in its mechanism. Hard to eradicate. In addition, there is a contradiction between the increase in battery energy density and battery life. According to experts, if the energy density performance of the battery is doubled, the battery life may be reduced by half; from the perspective of the whole life cycle, the cost performance compared with the cost is not improved, because the battery life is reduced. In half, the total cost over the life cycle is the same, and even increases. Many regions (cities) in China have carried out demonstration operations on pure electric vehicles for many years. People have a deep understanding and experience. It is worthy of summing up and pondering the scientific and technical personnel and the national managers who have made policy decisions. Looking at the operation and use of pure electric vehicles at home and abroad, the safety hazards exposed by them are objective, universal and fundamental, and must be paid enough attention by the industry. Do not hold any luck. After all, life is a matter of life, no matter under what circumstances, the personal safety of car users is the first, others are second. Some people in the society may be out of the goodwill of electric vehicles, and think that China is big and the world is big. It is not worth making a fuss about several electric car fires in a year. Traditional cars will not be Has this kind of accident occurred? However, in the view of the researcher, it is unscientific to confuse these two kinds of problems with completely different natures, and it is untenable. After more than one hundred years of large-scale practical use inspection, the traditional automobile has proved that its safety technology is very mature. Even if there are some accidents similar to electric vehicles, people will not doubt that it has a fundamental (or essential) safety technology. Sexual defects (or deficiencies), and (pure) electric cars are different, because they have not been tested for a long time and on a large scale of practical application. Judging from the fire accidents of electric vehicles that have occurred at home and abroad in recent years, most of them are related to electricity, that is, to batteries. In other words, the safety hazard of (pure) electric vehicles lies in the existence of a mechanism (or principle) short board of battery safety technology performance. Taking a lithium-ion battery as an example: when the energy density is relatively high, if a thermal runaway reaction occurs, a high heat is released and a fire is caused; the electrolyte in the battery is an organic solvent, which is a flammable substance, and is at 4.6V. In the case of voltage, the oxidation reaction is easy to occur, and if it leaks, it will catch fire and even cause an explosion. According to the analysis of relevant experts, the US Tesla Model S electric vehicle had fired six times in less than one year. This is by no means accidental and is related to the technical characteristics and characteristics of the battery itself. There were three accidents, and the final cause was confirmed as battery thermal runaway. This is a holistic manifestation of battery failure, which may occur within the battery after a squeeze, puncture or overcharge causing a short circuit. In addition, the heat resistance of the electrolyte membrane is also limited. When the temperature is too high and the supercritical point is reached, it may ignite. 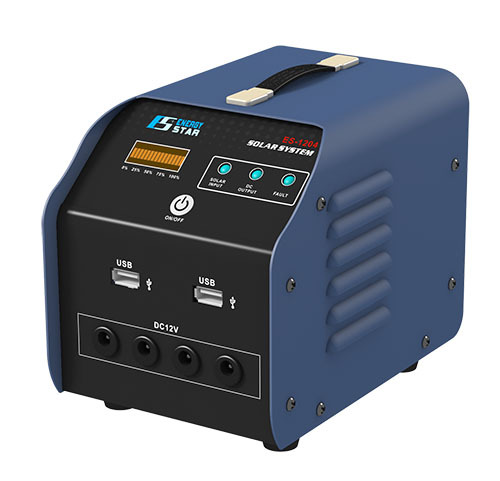 In this regard, it has been said that in order to prevent the battery from running out of control, the battery pack can be closely monitored and controlled. This is easier said than done, and it is actually very easy to get out of control, because the battery pack of an electric car is composed of many small single batteries. To implement control, the whole system is extremely complicated, and any one of the links has a problem, the whole system It will fail, and perhaps this thermal control system itself has become one of the causes of the accident. For example, the Tesla Model S electric vehicle has a battery pack consisting of 7,000 small batteries. For thermal control, 7000 controllers are needed to connect them. The connection point is equivalent to 10,000 resistors. However, the performance consistency of so many resistors is difficult to control. Obviously, some resistors are small, the frequency of use is increased, and it is easy to be damaged. If the resistance is large, heat is needed to convert energy, thereby increasing the risk of thermal runaway. According to the field investigation of relevant people, the pure electric buses that are operated and operated in many places in China often have high battery temperature, and the hidden dangers are obvious. In order to monitor such hidden dangers, such as the 801 road pure electric bus in Guangzhou, an over temperature alarm was installed, but since the temperature became too high, the vehicle always started in the "beep, beep" alarm sound. Operation, causing anxiety and dissatisfaction of passengers. According to the driver who drives the car, the battery temperature is too high, which not only has safety hazards, but also reduces the energy output of the battery pack and affects the running speed of the vehicle. This shows that the bus with too high battery temperature is “sick” and it is very unsafe. Pure electric vehicles not only have the safety hazards mentioned above in operation, but also exist during battery charging. Anyone who uses a mobile phone may have experienced such a personal experience, that is, when charging the mobile phone (especially on a hot day), if the charger plug and the jack are not well adapted (the condition of the two is not optimized) ), the temperature of the charger and the mobile phone battery may be high or high, and it is very prone to unexpected events. The news reports related to this are also continuously transmitted to people's ears. The battery pack of an electric vehicle has a larger charging load, and the charger interface may be overheated during charging due to repeated plugging and unplugging, and there is a possibility of causing a fire. Nowadays, the number of electric vehicles is still small, and the use is not universal. Once the widespread use and charging facilities are even spread throughout the residential community, the safety hazard is more prominent and serious. At the moment, some people find it inconvenient to use an electric car. It takes a few hours to charge too slowly. In this way, someone has introduced a "fast charge" technology solution. However, according to the current battery level and the technical level of the “fast charge” solution, the negative results of “fast charge” cannot be ignored: first, it will inevitably affect the service life of the battery; second, it is prone to overheating as described above (especially On a hot day, it poses a safety hazard. On the surface, “fast charge and slow charge” is the “good and bad” dispute between the two technical solutions, but in fact, it exposes a paradox phenomenon manifested in the technical characteristics of the battery, that is, what people need and want to obtain. The two technical characteristics are contradictory and cannot be balanced (or both), so people cannot have both. This is also a mechanism (or principle) defect in the existence of pure electric vehicle batteries. Based on the fact that the current battery is not a perfect technical feature, another safety hazard that exists during charging has not yet caused people's high vigilance. When charging an electric car in an alpine region (or a colder weather), the battery is in the battery. Once the material is stimulated by current, it will form a metal element, which will cause a short circuit in the battery. In severe cases, it may explode and cause a disaster (see "Automobile Business" on August 21, 2014). On April 26, 2015, an electric bus in Shenzhen was in the charging station. The battery suddenly smoked, and then a raging fire broke out. The whole car was burned. According to Tesla, its electric car is the world's highest-end, best-quality electric car. However, by the end of 2015, it was constantly recalled that it had recalled quality products that were sold in many regions. At least two conclusions can be drawn from this: First, Tesla's responsible attitude towards the user's safe use of the car is worthy of recognition; secondly, it also reflects that even the so-called best pure electric vehicle is difficult to avoid quality and safety risks; This is undoubtedly a wake-up call or a warning to the fast-growing Chinese pure electric vehicles. Ouyang Minggao, head of the overall expert group of the national “863” plan for energy-saving and new-energy vehicles, pointed out that the increasing scale of (pure) electric vehicles will make the accident probability even greater. This is a special concern for the promotion and application of localities. Nowadays, the development of new energy vehicles is very strong. It is not necessarily a good thing to overpower. Once a serious safety accident occurs, it will cause a devastating blow to the entire new energy vehicle industry. Pay special attention. In view of a series of electric vehicle battery safety accidents in China in recent years, the Ministry of Industry and Information Technology issued a notice on August 6, 2015 to investigate the potential safety hazards of new energy vehicles. The release of the document can be said to be very timely, and at the same time, it also reflects to some extent the seriousness of the safety hazard of the electric vehicle battery. (Pure) electric vehicles in the use of the process, especially in the event of traffic accidents and other unforeseen events, due to battery damage, soil, groundwater, etc. . In this respect, not only the hazards of lead-acid and nickel-cadmium batteries are well known, but other so-called more advanced batteries (such as nickel-metal hydride, lithium batteries, etc.) are also contaminated by the environment due to improper handling of accidents. risk. Taking lithium batteries as an example, substances such as positive and negative materials, electrolyte solutions, etc., if they are leaked or improperly disposed, have a great negative impact on the environment and human health. Among them, the heavy metal element contained in the positive electrode material can raise the pH of the environment, and the electrolyte solution has strong corrosiveness, and improper treatment will generate toxic gas and pollute the air. This kind of hidden danger will become more prominent when (pure) electric vehicles are used in large-scale applications. This researcher has in-depth understanding of the technological progress made by lithium batteries commonly used in pure electric vehicles, and also knows that Various new concept batteries developed for the advancement of pure electric vehicles that are likely to be used. Regarding the former, the technological progress achieved by it is undeniable, but it is not a breakthrough substantive progress. The actual application effect is far from what some people claim. Among them, the so-called technical progress indicators given by the parties are only the theoretical data of the actual (or test) stage, rather than the actual data obtained after long-term application. Therefore, at least in the opinion of the researcher, the results of such claimed technological progress are not credible or of low credibility. Relevant experts also pointed out that although the technological progress of lithium batteries has been relatively fast in recent years, there is still a lack of revolutionary changes, which is no different from a few years ago: the structure has not changed; the main supporting materials have remained basically unchanged. To solve the problem of the driving range of pure electric vehicles, it may be hoped that new electrochemical systems and new battery technologies will emerge. Regarding the latter, the following is a brief introduction. According to relevant experts from the Institute of Materials Research, Chinese Academy of Sciences, the existing lithium-ion battery adopts multi-layer thin film electrode design, while the semi-solid lithium battery uses thick electrode, which is obtained in structural design. The simplification reduces the ratio of the total weight of the current collector and the diaphragm to the battery. When the positive and negative materials are the same, the energy density of the battery can be increased, and the process cost is expected to decrease. 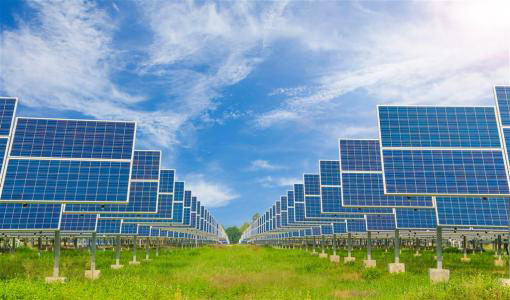 At the same time, however, due to the use of thick electrodes, single-layer diaphragms, rapid charge and discharge cannot be achieved, which means that there is no advantage in power. In terms of promotion, the process of semi-solid lithium-ion battery is not fully compatible with the existing lithium-ion battery process, and the production line design, quality control, test standards, mass production process, etc. have to be explored from the beginning to prevent key short-circuit and other key materials. There is still a need for a big breakthrough. Graphene is the thinnest of the materials known today, only one carbon atom thick, is also the best thermal conductor of current thermal conductivity. The theoretical weight of graphene batteries is half that of conventional lithium-ion batteries, and the thickness can be greatly reduced, while the storage capacity is several times higher. According to estimates by scientists in the United States, graphene anode materials charge and discharge 10 times faster than graphite anodes commonly used in lithium-ion batteries. It is said that if used in electric vehicles, it takes only 8 minutes to charge a single charge, and the car can travel for nearly a thousand kilometers. Although graphene has been listed as an important material by developed industrial countries, the relevant production technology was relatively mature until 2010, and it is still in the primary application stage. In particular, single-layer graphene materials, which can greatly reduce the volume and weight of batteries, have low yields and high production costs, and have a long way to go before practical applications. After the lithium battery is generally used as the main power of pure electric vehicles exposed more and more problems and drawbacks, people have recently turned their attention to metal (such as zinc, aluminum) air battery. It is said that the aluminum air battery jointly developed by Israel's Phinergy and Alcoa is used in the Citroen C1 electric vehicle. The test results show that the driving range is more than twice that of the Tesla Model S electric vehicle. Energy density, cost, and environmental protection all have great advantages. However, the researchers also saw further and substantial detailed reports. It is well known that although metal (e.g., aluminum, zinc, etc.) air batterys have higher energy densities, their power is very low. Taking the zinc-air battery as an example, due to the lack of specific power, the electric vehicle equipped with the top speed is only about 60 kilometers per hour, which is more difficult when accelerating or going uphill. The reason for the low power of the aluminum air battery is that the electron generation speed of the aluminum is slow, which is determined by the characteristics of the aluminum itself, and is difficult to overcome. Because of this, various metal air batteries are currently limited to use as backup batteries and the like. For the new concept battery similar to the above, expert Wang Xuedong believes that whether it is practical or not, it is not enough to rely on several eye-catching laboratory data. It is the most powerful evidence to have comprehensive and objective practical application data. The things that have been tested and proven are credible and reliable. Hydrogen fuel battery (electric) car's key and subtlety lies in its power source - (hydrogen) fuel battery nearly perfect And a very ideal working principle and mechanism, which is called the battery in name, but is essentially based on the electrochemical principle, will be used as a "fuel" (this refers to the fuel is not a traditional fuel, because it is not "burning" Therefore, a power generation device (also referred to as a "hydrogen generator") that converts the chemical energy generated by the reaction of hydrogen and oxidant in the air into electric energy. Fuel batterys were mainly used for aerospace and military purposes in the early days. Later, in view of their huge potential advantages and dealing with the increasingly serious traffic environment pollution, people have studied it and applied it to automobiles as a power device. After several decades, especially since the 1990s, scientists and technicians have been immersed in solid exploration and trial and error research. Nowadays, the technology of hydrogen fuel battery vehicles in the world is advancing rapidly and the results are remarkable, far exceeding the expectations of many people in China. It has already revealed bright prospects for development; under the circumstance that the key technical obstacles of (pure) electric vehicles are not broken, it has indeed brought people a feeling of "being bright". After years of hard work in the world's automotive industry, a variety of new energy vehicle technology solutions, based on the unparalleled environmental protection and high energy efficiency of hydrogen fuel battery vehicles, and the third time that the world is brewing The prejudgment of the industrial revolution, some people in the academic circles even asserted that hydrogen fuel battery vehicles are likely to be the ultimate development goals of the world's automobiles and the ultimate (solving) solution for new energy vehicles. The revolutionary technological achievements will have a major impact on the future economic and social development of mankind and a broad development prospect, which has been recognized by some scientists with keen eye in the world. It is said that recently, a team of 18 top scientists, the World Economic Forum's Emerging Technologies Cross-border Council, selected the world's most promising future, such as drones, next-generation robots, 3D/4D printing, etc. Ten emerging technologies. Among them, hydrogen fuel battery vehicles ranked first. The potential development prospects of fuel batterys are not only recognized by the automotive industry, but also by the aviation industry. The Italian Polytechnic Institute of Turin successfully developed the world's first fuel battery aircraft and exhibited it at the Berlin Air Show. Prior to this, the aircraft had successfully tested in Hamburg. In 2012, at the Hannover Messe, the German Aerospace Center also demonstrated its fuel battery aircraft. Similarly, in view of its great superiority, fuel battery submarines are also one of the hot spots developed by the world's military powers. In the past, many people in urban and rural areas in China used fuel-powered motorcycles and were later replaced by battery (electric) bicycles. Based on the huge superiority of fuel batterys and the rapid development of clean renewable energy, in the future, traditional battery (electric) bicycles may also be replaced by hydrogen fuel battery (electric) bicycles. According to reports, the French company Pragma Industrial recently launched the world's first hydrogen fuel battery (electric) bicycle named "Alpha", the French Post Office has expressed interest in ordering. Pragma announced that it will produce 100 "Alpha" bicycles in volume in 2016, and will increase to 1,000 vehicles in 2017, each selling for about 2,300 euros, no more than the top traditional electric bicycles. The mass production price will drop significantly. The main advantages of hydrogen fuel battery vehicles represented by proton exchange membranes are largely attributed to the ideal working principle of fuel batterys ( mechanism). It can be said that while maintaining and expanding the advantages of pure electric vehicles, it has abandoned the inherent defects and deficiencies of the latter. As far as the vehicle itself is concerned, during the driving process, only pure water is discharged without any harmful substances; at the same time, this is also in line with the circulation law of nature, the by-product of the car running work, although the current In the situation, car users can't recycle directly, but they still have to be used in the natural environment (such as re-electrolysis of water to produce hydrogen, etc.). From the perspective of the energy life cycle, if the hydrogen fuel used in automobiles is from by-products such as industrial waste gas and is produced by renewable clean energy, the total pollution of the vehicle is also very low and rare. Under the severe situation of global environmental pollution and abnormal climate change, people are now focusing on the development of new energy vehicles to focus on hydrogen fuel battery vehicles. In the final analysis, they are more concerned about their outstanding environmental protection. (2) Energy efficiency is particularly high. From the working principle of the vehicle's power unit, the hydrogen fuel battery, the generated power is not subject to the heat cycle, and is not limited by the thermodynamic cycle, and there is basically no heat release and heat energy loss. Therefore, the energy conversion efficiency is high, ranging from 60% to 70%, or even higher, roughly two to three times that of an internal combustion engine. From this point of view to understand the problem, vigorously develop hydrogen fuel battery vehicles is also an effective strategy and important measures to solve the energy dilemma in China. (3) Hydrogen resources are abundant. The fuel supplied to fuel batterys, hydrogen, has a wide range of sources and distributions. In theory, about 75% of hydrogen is in the mass of the universe. Hydrogen on the earth is almost everywhere, everywhere, and the resources for hydrogen production are rich and diverse, and it can be said to be inexhaustible. 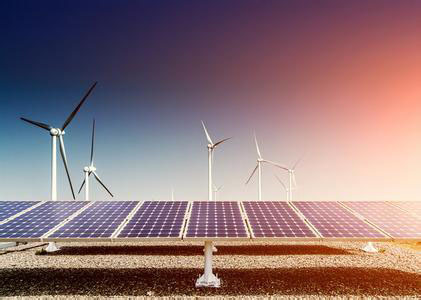 From the technical means that can be used in reality, it can be used to produce hydrogen by using clean renewable energy such as wind and solar energy, or to directly produce hydrogen by sunlight, and sunlight (for example, plant photosynthesis) to produce hydrogen and waste. Use hydrogen production and so on. Light, the car's comfort is exbatteryent. Based on the scientific and rationality of the working principle of fuel batterys, hydrogen fuel battery vehicles fundamentally avoid some major defects of pure electric vehicles, such as driving mileage Limitations and safety hazards that are easy to catch fire, etc. (1) The limitation of driving range is small, and the energy is fast. As mentioned earlier, the reason why the driving range of a pure electric vehicle is shorter is that the energy stored in the battery is limited. The so-called battery of a fuel battery vehicle only "powers" and does not store electricity. The hydrogen contained in the hydrogen tank (or container) is the energy stored by the vehicle. As long as hydrogen is continuously supplied to the fuel battery, the drive system is Get enough power to drive the car. That is to say, the driving range of a hydrogen fuel battery vehicle does not depend on the "battery" but on the amount of hydrogen stored in the on-board hydrogen storage tank. According to relevant scientific and technological data, the energy density of hydrogen is very high (about 1 kWh/kg), about 2 to 3 times that of gasoline and diesel, and about 10 times that of on-board lithium-ion batteries (roughly 100 to 200 Wh/kg). ); 5 kg of hydrogen reserves can support hydrogen fuel battery vehicles for more than 400 kilometers of continuous driving, and to achieve the same mileage, pure electric vehicles will be equipped with about half a ton of multiple lithium-ion batteries (compared with hydrogen fuel batterys) The heap is much lighter). It can be seen that many of the energy on pure electric vehicles are consumed by the battery's own weight, which is uneconomical and not scientific and reasonable. In addition to the unique advantages mentioned above, hydrogen fuel battery vehicles are also fast in replenishing energy. Within a few minutes, the hydrogen tank can be filled to the maximum amount of hydrogen (more than 400 kilometers or more). Traditional cars are as convenient and quick to refuel. As mentioned above, the "slow charging" of pure electric vehicles takes 7-8 hours, and the "fast charging" takes more than half an hour. Once charged, it can only travel 150 to 200 kilometers continuously. Through this comparison, one also sees an important issue. In the case of the need to establish infrastructure when popularizing both pure electric and hydrogen fuel battery vehicles, the hydrogen fueling station is denser than the pure electric vehicle charging station. The density is much lower, which will bring a series of savings and positive social effects. (2) The battery is safe and environmentally friendly. Hydrogen fuel batterys consist of a thin electrolyte membrane sandwiched between plates. On the anode on one side of the electrolytic membrane, hydrogen is decomposed into electrons and protons by a catalyst such as platinum. Protons can pass through the electrolyte membrane and form water vapor with oxygen in the air, while the electrons are all trapped by the electrolyte membrane and concentrated to generate electricity. This process takes place at the atomic level of matter. In theory, there is basically no heat radiation, that is, in the actual application work, the temperature of the battery will not exceed 100 °C at most, if some cooling measures are taken. , the temperature will be lower. Since the fuel battery has little disability, it will not explode even if the diaphragm is cracked. In addition, the battery component is composed of a solid material, thereby fundamentally avoiding a safety hazard similar to that of a pure electric vehicle due to battery thermal runaway and solution (agent) leakage, and high safety can be obtained. To say that hydrogen fuel battery vehicles have any weak links in terms of safety, hydrogen storage devices (or containers) can be regarded as something that needs to be taken seriously (as will be discussed below), but because more mature technologies are available, The safety of hydrogen fuel battery vehicles is basically the same as that of traditional cars, and there is no particular concern. Regarding the environmental impact of hydrogen fuel batterys throughout their life cycle, on the whole, the constituent materials are basically non-toxic, and there is no environmental pollution problem in the preparation, use and recycling processes. Of course, this is mainly a theoretical understanding. In the world, hydrogen fuel battery vehicles are still in a stage of demonstration and application, and there is little practical experience accumulated. 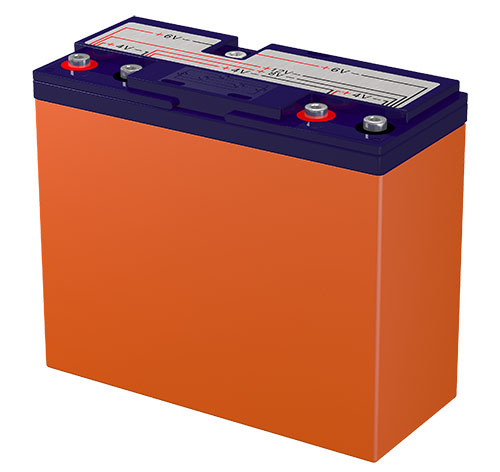 If used in large quantities, whether the fuel battery will have a significant negative impact on the environment, it must be answered by practice. Although hydrogen fuel battery vehicles have many advantages as described above, because they are a completely innovative and revolutionary technology product, there will inevitably be some Improvements and areas for improvement, especially in the early (or early) stages of the early 21st century and before, there are the following major problems and difficulties. In the early stage, the technical performance of fuel battery engine is not good, and it needs to be greatly improved to meet the actual use requirements, mainly involving the following problems. First, the power density of the fuel battery is low, and the power output of the entire fuel battery engine is limited; and, because of its slow dynamic response, the problem is not prominent when the vehicle is traveling at a constant speed, and when the operating conditions change, such as In the case where acceleration or climbing requires more power, it is difficult to affect the normal use of the car. Second, the fuel battery engine has poor durability and short service life. In the early stage, the service life of fuel battery engines in the world generally does not exceed 3,000 hours (the 2020 target set by the US Department of Energy to meet normal use requirements is 5000 hours), and there are still many gaps with the requirements of practical applications; After the battery car travels 4 to 50,000 kilometers, the power drops by about 40%, which is much inferior to that of the conventional internal combustion engine, which generally guarantees that the car travels more than 500,000 kilometers. Third, the environmental adaptability of fuel battery engines is poor, especially when starting at low temperatures (the pure electric vehicles also have such weaknesses), which can not meet the normal use requirements of cars in cold weather. In order to make the fuel battery engine have enough output power to drive the car, it is necessary to integrate hundreds or even more single fuel batterys into one fuel.